2015 could be called, among other things, The Year of Migrations. I have three in mind and all of them begin or end up in war-torn Syria. The First and most startling Migration is the vast and illegal movement of migrants, mostly Muslim, attempting to reach EU countries — some from Afghanistan, some from Eritrea and sub-Saharan Africa and even from Egypt, but increasingly from Syria. In all cases the migrants are either attempting to cross the Mediterranean by boat from a number of ports along Libya’s coastline to make land in Italy or crossing from Syria to Turkey and then by boat across the Aegean Sea to Greece. This second wave is overwhelmingly Syrian, They are refugees, technically illegal because they lack visas, but their status is different unlike so many of the other migrants attempting to reach Europe who are “economic migrants” seeking a better life, and not directly threatened by either an oppressive government or by warfare. Both qualifying conditions are highly relevant to a Syrian civil war that has cost approximately 300,000 dead of which a high percentage are civilian. As such the Syrians cannot be deported back even if arriving in Europe without a visa as they all do, given that they are legitimate refugees, entitled by UN and other international standards to refuge. For those Syrians who make their way to the Turkish coast and then across the Aegean Sea to those Greek islands not far from the Turkish coastline, it is a very much shorter distance than the crossing of the Mediterranean. But it is still dangerous given the cheap rubber dinghies into which they are crammed by the Turkish traffickers, and the cheap, frequently useless life jackets the migrants purchase in Turkey prior to boarding. For most of the migrants, particularly the Syrians and others who can establish they have come from a turbulent battle zone–like parts of Afghanistan or Iraq or are in danger of arrest in Eritrea, a country with a particularly oppressive regime– and thus also qualify as legitimate refugees, Italy and even more so Greece are not intended final destinations. They are viewed as but passageways to the most prosperous parts of the EU. The movement of economic migrants is illegal not just because no visas have been issued by any of the countries through which they pass enroute to the EU or by any EU countries, but because no country is obliged, unlike the case of refugees, to accept them. But at least until the Fall of 2015, upon reaching land in either Italy or Greece, and evading detainment in a migrant/refugee center upon arrival (which is not the case with those rescued at sea by the Italian Coast Guard) they could move freely within most of the EU–meaning those EU countries including Greece and Italy that had signed the Schengen Agreement. The Agreement allows, or perhaps soon, more correctly had allowed, free movement from within the Schengen Area of the EU which became virtually borderless. Border posts were closed down in the mid-90s, except for those posts bordering territories outside the Schengen Area. But given the impact of increasingly large numbers of illegal migrants moving across Europe, internal Schengen Area border posts are starting to go back up. The UN refugee agency UNHCR released extraordinary statistics in mid-August of 2015 estimating that 310,000 illegal migrants had reached EU shores in comparison to 219,000 for all of last year. According to that same report 2,500 had died enroute in the first seven months of 2015 in comparison to 3,500 for all of 2014. In both cases the figures are approximate for if the boats can reach landfall out of sight of the authorities, migrants so arriving will not necessarily ever be registered and added to UNHCR statistics. As long as they can avoid contact with local police, unregistered migrants can remain in the EU, as is the case of some 11 million illegal migrants in America almost all from Latin America and almost all crossing into America from Mexico. The UNHCR calculation for deaths while sea-borne to either Greece or Italy is even more approximate: consider boats that sink and no one survives to tell the story, and only a few bodies washed ashore. German Chancellor Angela Merkel has spoken about the problem in a humane and sympathetic voice and has talked about providing refuge in Germany to hundreds of thousands of Syrians, but Germany had been quietly deporting those registered migrants, presumably non-Syrians, who do not qualify as refugees. And it is Germany that is calling for EU reconsideration of Schengen and a related Dublin Agreement. Meanwhile the number of attacks against migrant/refugee centers in Germany is rising. And right-wing movements across all of Europe are opposed to accepting more migrants whether legitimate refugees or not, and particularly if they are Muslim. In response to the proposed EU Relocation Plan (with quotas for each EU country based on size of population and state of economy) Slovakia and Cyprus have declared that they will only accept a very limited number of refugees, 200 in the case of Slovakia and 300 in the case of Cyprus — and only on condition in both cases that the refugees are Christian not Muslim, with Cyprus even specifying the denomination — Eastern Orthodox. Hungary has put up a fence to bar all migrants, even those, as is almost always the case, who want to simply transit Hungary for Austria and from Austria on to Germany. Hungary has already absorbed a number of Kosovo Muslims crossing over from Serbia, and has made it quite clear it doesn’t want any more. Both Slovakia and Cyprus say that Muslim refugees will not feel comfortable in their country. And according to the Slovak Interior Minister that is because there are no mosques in Slovakia. The phrasing is foolish for if that were the problem, then Slovakia could simply allow the Muslims to build a mosque. A more intelligent way would be for Slovakia to state that Muslims from the Middle East or Africa have difficulty in integrating into European society and for a number of reasons there is some truth to that. This is what has been said off-record by Polish, Czech and Estonian officials when objecting to the EU Relocation Plan. But the Hungarian Prime Minister was most direct: “The addition of tens of thousands of Middle Eastern Muslims would greatly endanger Europe’s Christian cultural identity.” Of course his declaration could be taken more seriously if he had had more accurately declared — while exempting Russia and conceivably Poland — that a large number of Muslim migrants be they refugees or not — would endanger Europe’s Post-Christian cultural identity. A more pressing argument and it is being made in many European publications is why do not the wealthy Gulf countries open their doors to the flood of mostly Muslim migrants, particularly the refugees from Syria. Saudi Arabia, has said it has already admitted 100,000 Syrian refugees. Considering that Jordan, a poor country with a relatively small population is in one way or another hosting about two million Syrian refugees, the Saudi response and silence from the other Gulf countries loses quite a bit of its intended luster. But by and large European leaders seem to be responding more to the popular impact of tragedies that make it into the media than by hard thinking. The major action taken in 2015 was the implementation of EU Search and Rescue Operations (SRO) which the UNHCR estimates has saved tens of thousands of lives and which made the EU look better than it did in 2014 when it did little or nothing; which had led to accusations of callousness. Yet Search and Rescue Operations particularly in the Mediterranean but also the Aegean Sea, has only deepened the crisis and the tragedies. Traffickers now cram migrants into ever cheaper boats powered by ever cheaper motors, crewed by a migrant who gets free passage, and is often provided with a phone capable of reaching SRO call centers that can direct SRO Coast Guard ships to the rescue, even if the boat has not capsized and the motor has not died. Every bit of screened television footage of a rescue is an incentive for more and more would-be migrants to make the attempt. It is widely believed that there are a few hundred thousand migrants in Libya alone standing by to undertake this dangerous voyage. The UNHCR estimates that Jordan, Turkey and Lebanon are hosting 3.5 million Syrian refugees, but according to estimates from the three countries the figure is much higher. In Jordan in particular possibly one million Syrian refugees — particularly those with money or at least family or friends willing to put them up — have avoided the camps (which hosts another one million Syrian refugees) and thereby are not on the UNHCR rosters. They live among the Jordanians and either seek employment among the Jordanians, or for those with money open up shops and restaurants. As is the case in many other countries hosting migrants, (or even workers from Eastern European countries in the EU, flooding the UK via the free movement of EU labour rule) but massively so in Jordan, those Syrians who avoid the camps but must inevitably enter the Jordanian labour market, and will be competing with semi-skilled or unskilled Jordanians also seeking work. And the Syrians, presumably more desperate living in a foreign land with little or no family circles to rely on, will be willing to work at salary levels below whatever is the ongoing market rates established by Jordanians. There has been an opposite effect for middle class or upper middle class housing with well-to-do Iraqi as well as well-to-do Syrians entering the housing market and driving the cost of rentals far higher, which has again generated, as in the case of employment, bad feelings about the Syrian refugees among many Jordanians. Part of the alternative to the present and significantly deteriorating situation is for at least the EU states and hopefully others — in particular the wealthy Gulf States — to provide very significant funding to Jordan, Turkey and Lebanon to enlarge existing refugee camps; to build new ones; and to dramatically improve the quality of the housing and food as well as medical and educational facilities and continue to keep their borders open for Syrian refugees or re-open them if they are closed. It also means significant increase in funding by all affluent countries to the UNHCR and other bodies actively involved in the funding, partially or in some cases totally, in the care and feeding of migrants in these camps. Having undertaken that task, the EU can then insist that even legitimate refugees, in which case for Turkey and Jordan means overwhelmingly those coming from Syria — and who in any circumstance must enter Turkey or Jordan — must register and then be interviewed by EU/UNHCR officers to be established at the camps who would determine if they indeed are legitimate refugees. And if so, they would be authorized to issue visas to EU countries, based on the EU country-by-country ratios to establish how many legitimate refugees each EU country can handle, as well as those non-EU countries willing, like the United States, to commit to a number of Syrians they are prepared to issue visas to over a period of one or more years. This is not only for the sake of European stability, not to mention the stability of Lebanon and Jordan, but also of great importance for the future of Syria. For when peace comes to Syria, those who have fled to neighboring countries are far more likely to return home than those who have made it to Europe. That would also hold true if Saudi Arabia and the other Gulf countries established comfortable and well serviced “refugee centers” (a more soothing description than camps) for Syrian, Iraqi, and Afghan refugees. Saudi Arabia shares a border with Iraq and indeed after the 1991 War did establish with the UNHCR a camp not far from that border for approximately 35,000 mostly Shia refugees from southern Iraq that poured across the border when Saddam Hussein crushed the Shia Uprising and eventually were either resettled in The Netherlands and other countries or eventually repatriated back to post-Saddam Iraq. If an increasing number of EU countries decide they cannot absorb the ever increasing number of migrants reaching Europe then Greece and Italy must also be funded to provide viable refugee centers for legitimate refugees and to deport back to Turkey and Libya those who are economic migrants. The very concept of SRO must be altered. Migrants rescued at sea, be they close to the Libyan coast or approaching Italian waters, must be returned to the ports along the Libyan coast line. Those rescued in the Aegean Sea must be returned to the Turkish ports where enlarged refugee camps can host — at the very least — registered, legitimate refugees. Libya is another problem. There, the ports are either under the control of a Muslim Brotherhood dominated government in Tripoli which it seized with the help of militias from Misrata, or under the control of DA’ISH, which holds the important city of Sirte on the Libyan coastline. DA’ISH in Libya has been growing in strength as foreign volunteers are increasingly travelling to Libya to join DA’ISH forces there instead of in Syria, since Turkey no longer ignores the movement of would-be DA’ISH volunteers crossing Turkey enroute to Syria. Tunisian militants affiliated to DA’ISH and responsible for the killing of 22 people (nearly all tourists) at the National Museum in Tunis in March 2015 and 40 people, again nearly all tourists, at a Tunisian beach resort in June 2015, were trained by DA’ISH in Libya. Local officials in ports controlled either by the Tripoli regime or by DA’ISH are on the traffickers’ payroll. So the only solution now as in 2014, is for the EU to put forth a motion with American, Russian, British, French and Chinese support at the UN Security Council revoking the UN ban on arms supplies to Libya (passed at the time of Qaddafi ) and for the EU as well as Russia to quickly and seriously arm the Libyan National Army which is loyal to the internationally-recognized government of Libya. That government is based in Tobruk, having abandoned Tripoli when the MB-dominated Libyan Dawn militias seized the capital in the summer of 2014 following parliamentary elections in which the MB and its allies did poorly. With such assistance including Egyptian jet fighter air cover, the refurbished Libyan Army, which has been fighting DA’ISH for control of Benghazi (Libya’s second most important city), would be able to move with success against both DA’ISH and the Tripoli government, secure the ports as well as Tripoli, round up the traffickers, build refugee centers for the legitimate refugees, and deport those economic migrants that a legitimate government may not be willing or be able to absorb into the Libyan population. A UN Representative has been attempting to forge a broader alliance that would bring Tripoli and Tobruk together in a new more truly national government. That has been the excuse for EU passivity. These negotiations have been going on for months, with the UN Representative declaring nearly every month or so that an agreement was imminent. What has been encouraging is that some of the Misrata political figures who were supportive of Tripoli, have now accepted a UN modeled reconciliation with Tobruk. But as of the Fall of 2015 the MB-dominated government in Tripoli had not. And with each passing week the Libyan DA’ISH has grown; to such a degree it now supports a unit operating in Egypt’s Western Desert adjacent to the Libyan frontier as well as in the Sinai. DA’ISH has grown elsewhere — largely by affiliation. As of mid-2015 DA’ISH has reportedly received 21 pledges of allegiance from Salafi-Jihadi groups operating around the world. Some, like DA’ISH itself, breaking away as an affiliate of Al-Qaeda. Most significant among these affiliates are Boko Haram in Nigeria, the former Ansar Bayt al-Maqdis in the Sinai Peninsula, and Jund al-Khilafa in Algeria, as well as an underground operation in Saudi Arabia that has attacked Shia mosques in the Eastern province as well, more recently, a mosque largely patronized by members of Saudi security forces. But the successes of DA’ISH aside, all of the measures mentioned, if applied together, would appear to ease the crisis. Already the UK Prince Minister David Cameron who has retreated from his initial position — viable as a EU member that is not part of Schengen— that the UK was in no position to accept any more refugees, to saying it will accept 20,000 Syrian refugees over a five year period but they must be first registered and then interviewed at refugee camps in Jordan and Turkey, and there accredited as legitimate refugees. But the Syrian refugee crisis in itself will only be resolved when the Syrian civil war ends. Right now (Fall 2015) there are too many players with too many conflicting scenarios on how to end the crisis. There was another crisis involving Muslim migrants in 2015 that had no connection with Syria; the Rohingya Muslims of Myanmar effectively stateless and subject to violent ethnic cleansing and massive detentions in horrendous camps, are the victims of a violent movement led by fundamentalist Buddhist monks. In 2015 a report issued by The Holocaust Memorial Museum in Washington DC described conditions in Myanmar as “ripe for genocide” and a UN Report described the Rohingya as the most persecuted minority in the world. Thousands of Rohingya attempted to flee by boat to Malaysia after Thailand, which was the narrow land link between Myanmar and Malaysia, cracked down on the traffickers moving Rohingya by land. So the Rohingya took to boats most of which were abandoned by the traffickers in the Bay of Bengal when the Thai government also cracked down on Thai traffickers organizing the new migration route by sea. Those abandoned boats which managed to enter Malaysian and Indonesian waters in May, June and in early July 2015 were initially towed back to the middle of the Bay by both Malaysia and Indonesia’s navies. There the boats floated listlessly, in some cases for more than a month without food or drinking water. But sudden global coverage of the approaching mass tragedy at sea — death by starvation, and reporting on the treatment of the Rohingya in Myanmar, encouraged Malaysia and Indonesia to reverse course and send out Search and Rescue ships to tow dozens of the drifting boats ashore where both countries pledged to provide shelter and care to the Rohingya for a year pending an international resolution of the problem. Gambia, a predominantly Muslim country declared in the summer of 2015 they were prepared to take all of the Rohingya refugees. At best, the US led air raids have slowed down the advance of DA’ISH, enabled Kurdish forces in both Iraq and in Syria along the Turkish border to repel DA’ISH and recapture territory in both countries initially lost to DA’ISH and enable a large force of the Iraqi Army and Iranian-guided Iraqi Shia militias to drive DA’ISH out of Takrit in Iraq in 2015. That the Iraqi Army and Iraqi Shia militias outnumbered DA’ISH defenders by at least a ratio of 2-to-1 in the beginning of the battle for Takrit and after weeks of fighting by a rough ratio of 5-to-1, and still would have not been able to take all of the city but for the Coalition air strikes, suggests that the well-armed Iraqi Army remained nearly as ineffective in 2015 as it was in 2014 when it rapidly disintegrated in the face of an offensive launched by vastly inferior numbers of DA’ISH fighters pushing the army out of northern Iraq. But it is the flow of volunteers, particularly from the West that fascinates journalists, scholars and security agencies. While most are Europeans and Americans from Arab or Indo-Pakistani immigrant origin, some are young converts to Islam. In either case their life-style prior to recruitment is often typically hedonist — drinking, girlfriends, drugs, and for some, forays in petty crime before being recruited by DA’ISH. As for the converts, in almost all cases their knowledge about Islam came exclusively from DA’ISH so in either case the potential recruits had little to no background with which to challenge the dramatic but perverted version of Islam that DA’ISH presented to them: What one might even call a Heretical Neo-Islam acquired from DA’ISH recruiters either in the flesh — and at that, often in prisons — or, to a greater degree via internet where a combination of well-produced DA’ISH action videos on YouTube and long sessions of Internet emails and free voice chats with friendly internet recruiters did the trick. As in the case of Al-Qaeda’s recruits, serious research indicates loneliness and/or comradeship — going along with a peer group of pals seeking adventure, has far more to do with it than any pre-recruitment intense ideological commitment. This has been a far more prevalent factor than the initial and conventional assumptions that poverty in the West or the Muslim world and the lack of democratic dissent in most of the Muslim world drives youth to become terrorists.  I follow most of the research (see M500 2014-15 Introduction: Regional Survey) but in the end it was an experience of my own more than 50 years ago, that came to mind when in Rome in November 2014 participating as a member of the Muslim delegation in the Third Catholic-Muslim Forum. 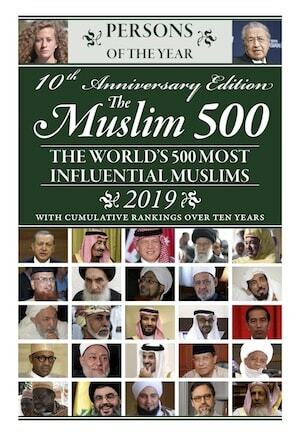 (The Forum is an ongoing institution that has its origins in the very first years of the Common Word Initiative — see page 112 — and many of the Muslim delegates to the Vatican for the first Catholic-Muslim Forum in 2008, were back in Rome, six years later, for the third meeting). The Catholic delegation of theologians and scholars was led as usual by His Eminence Cardinal Jean-Louis Tauran a high-ranking figure in the Curia, and the Muslim delegation led by the great scholar Prof. Seyyed Hossein Nasr. Since the critical issues that inspired the Common Word Initiative were resolved at that very first meeting in Rome in 2008 and positively confirmed then and there by His Holiness Pope Benedict XVI, the theme for this, the third meeting — “Working together to Serve Others” — was, relatively speaking, innocuous. This theme was so obvious that it might have led to a most listless Forum, but one of the three sub-topics — “to save the youth” — led Catholic delegates to ask the Muslim delegation why many young European and American Muslims were set on joining the ranks of DA’ISH. It was then that I recalled that “Carlos the Jackal” — a Venezuelan Marxist Leninist who took up a calling as a hit man for one of the more radical of the Palestinian Fedayeen movements, and by the mid-seventies through the mid-nineteen eighties had become the most notorious terrorist in the world —.had converted to Islam. Carlos was eventually arrested in 1994 and is still serving out his life sentence in a French prison had converted to Islam in 2001 declaring that he was doing so because Revolutionary Socialism was no longer a relevant force against Imperialism — that role was now taken up he said by “Revolutionary Islam.” Now Carlos is not a youth and those flocking to Syria to join DA’ISH would find his reference to “Revolutionary Socialism” not just irrelevant but meaningless. But the starting point for either revolutionary perspective is marginalization. In the case of Second-generation Franco-Algerians unable to identify as either French or Algerian (they rarely know Maghrebi or any other Arabic dialect) marginalization is to a great degree involuntary. They are made to feel they are not really French by among others, perspective employers who choose not to employ them, or by Imams brought over from the Maghreb and who also so assure them, but not at all phrasing it so directly. That is, the Imams imply that by virtue of being Muslim, they cannot be French. Without ignoring its doctrinal roots, that is why re-establishing the Caliphate is so important on a psychological plane for radical Salafis, for the Caliphate as an abstraction with only the slightest connection to the real history of the Caliphate as a series of dynastic authorities, at times competitive dynastic authorities. After the Prophet and the first four Caliphs, there never was a Muslim World-wide Caliphate — even the Ottomans with their extensive empire had to share the stage of political authority with the Shia dynasties that ruled Persia, and the Mogul dynasty ruling much of India. But the vision of a universal Caliphate implies a universal Islam all of which is far from the actual Umma made up of people of many vividly different cultures sharing the same faith with its core of required practices. To those culturally marginalized Franco-Algerian, or Dutch Moroccan or Anglo-Pakistani Muslim youth taking up arms not for another nationality’s cause but for the projected vision of a universal Islamic State on its way to becoming the universal Caliphate, provides an identity that allows them to transcend this dilemma. But what about the convert? I explained to the Catholic delegation that voluntary poverty was the governing style of the late nineteen fifties, early sixties Beat Generation — an American literary movement with social implications — i.e. a prideful rejection of then prevalent middle class values, appearance and lifestyle meant willed marginalization. In turn this literary movement which I caught the tail-end of, inspired the much larger phenomena of the hippy. For those with a spiritual core it led such persons to permanently — not touristically — enter a disciplined community such as a Catholic or Eastern Orthodox or Buddhist monastic order or an ashram, or a serious orthodox Sufi tariqa, and through that affiliation, marginalization was transcended. But for those without a disciplined spiritual core, voluntary marginalization bred an activist hostility to the rejected social order. For some, heroin provided an anesthesia that calmed this hostile soul, and the addiction with its nagging requirements lent a sort of weird discipline to their lives. They could not simply shrug off their addiction — it had to be tended to. Fortunately at the time I did not like either heroin or the idea of addiction. I did write poems in honor of Billy the Kid, and the Mafia. In the absence of spiritual commitment, the excitement of danger, adventure and implicitly of violence filled one’s soul. For myself and others the images of the Cuban Revolution, Fidel and his band of bearded guerrillas was compelling — and upon taking power to continue to wear the uniform of the Rebel Army, to remain armed, to remain bearded as Fidel and Che Guevera did, implied a permanent revolution with its doctrine of armed struggle and the strong undertone of violence. As I explained in far briefer, less complicated terms to the Catholic delegates in Rome, Revolutionary Socialism (which meant communists more radical than the pro-Soviet parties) provided me in 1961 with an ersatz Transcendence in the absence of real spiritual transcendence and its accompanying sense of community implicit in religion. During one of my trips to Cuba I stayed on for a year and immediately joined the Cuban militia. In theory armed struggle was but the means, the vehicle to Socialist Revolution; but for me and I am sure for others it was reversed, Socialist Revolution was the Means to the Ends of armed struggle, of a glorification of violence. But as Carlos the Jackal observed, Revolutionary Socialism — which in the 1960s and 70s was the option that a young man or women could so-to-speak convert to, then travel to Cuba or join one of the guerilla movements in Latin America, or the ultra — left-wing underground terrorist groups then operating in West Germany, Italy and in America — no longer exists as an option in any significant sense. For those self-marginalized youth of today, and an aging Carlos in his prison cell, the only available Cause that provides an ersatz transcendence that glorifies violence and provides the promise of community is DA’ISH, and before DA’ISH, Al-Qaida. In his book “Revolutionary Islam”, Carlos the Jackal praised Bin Ladin and the 9/11 Operation and called upon Leftists in search of revolutionary action to rally to the Islamist cause. As for the Third Migration connected to Syria — it is the clandestine transport of small, easily carried artifacts of the ancient civilizations of Syria, looted by DA’ISH and others from Museums or the many archaeological sites to be sold to dealers in Istanbul. For as US led Coalition air strikes bomb the oil installations DA’ISH has captured, and reduce DA’ISH’s ability to truck out oil from Iraq to traders in Turkey, the sale of looted artifacts becomes increasingly important. DA’ISH videos show their supporters smashing ancient statues in museums and blowing up the remains of ancient temples. (Far less reported are the mosques destroyed by DA’ISH that incorporate tombs of saints and even a Prophet.) But there is no video of the museums and to a lesser degree the archaeological sites as they are first pillaged by DA’ISH for small, most easily handled items such as ancient seals, tablets, jewelry and the occasional head sawed off a statue, all destined for sale outside of Syria. Four of Syria’s six world heritage sites now lie in ruins. Then in May 2015, DA’ISH pushed Syrian government forces out of Palmyra, the fifth world heritage site, and beheaded the 82 year old Syrian head of antiquities (who had served in Palmyra for 50 years) after detaining and interrogating him for over a month. In June, two Muslim shrine-tombs in Palmyra were destroyed and then in August DA’ISH blew up two well-known Roman-era temples. The Salafi-Jihadis invariably wrap their claim to be returning the practice of Islam to the purity of the earliest followers of the Prophet around their theological perversions and their atrocities. But the Companions of the Prophet (PBUH) in command of the Arabian army that conquered Egypt did not destroy the highly visible Pyramids which were royal tombs on the Giza plains overlooking the Nile Valley and that today are part of Greater Cairo, nor did they destroy the many Pharaonic tombs and temples far to the south in Luxor; nor did the first Ummayad ruler in Damascus, also a Companion, destroy the temples that have been blown up by DA’ISH. One year later — June 2015 — as if in celebration of the first year of this monstrous “Caliphate”, DA’ISH staged a far ranging flurry of terrorism, using three car bombs in a drive-in raid into Korbani, (a fiercely contested Syrian border city which Syrian Kurdish and FSA fighters had taken back from DAISH with the help of US airstrikes in 2014) and gunned down more than 200 Syrian Kurdish civilians in the streets of Korbani and in one of its suburbs. In the same month a DA’ISH suicide bomber attacked a Shia mosque in Kuwait City killing 27 people at prayer and wounding another 227. And a Tunisian gunman trained by DA’ISH in neighbouring Libya assaulted a Tunisian beach resort for tourists killing 40. One would think after two years of atrocities, and in armed conflict with nearly everyone operating in the region, even with Turkey (however haphazardly, but no longer displaying a passivity towards DA’ISH that bordered on collaboration — at least against the Kurds), not to mention the United States and other NATO states, Iran and the Iraqi Shia militias it guides, the Lebanese Hizbollah, Iraq, Jordan, Saudi Arabia and the other Gulf states, the Syrian Baathist regime, the rival Syrian rebel forces ranging from Al-Qaeda’s affiliate Jabhat al-Nusra, the FSA, and “moderate” Islamist brigades — which generally means Islamist brigades which have not yet thrown in with DA’ISH — Syrian Kurds, and Iraqi Kurds that DA’ISH would be gone! And now the Russians are coming in, at least with jet fighters and helicopters reinforcing the Alawite pro- Syrian regime stronghold of Latakia. The problem is DA’ISH has many enemies but none of them for various reasons — and that tells us much about the region and not just those parts of Syria and Iraq that now are the territory of “the Islamic State.” — are going after DA’ISH in an all-out manner. The US leads a broad but faint coalition of warplanes — which in itself raises some (but not too many) eyebrows–why is America leading a faint-hearted aerial coalition of NATO, Gulf Arab, Jordanian and now Turkish air forces, in what — until DA’ISH is so foolish as to send suicide bombers into New York and Washington DC — is not really an American fight. Rather it is a battle for the soul of the Muslim world and if there is to be a presence of armed forces beyond the Muslim world, helping out with logistics, why has not any Arab Armed Force taken the lead, particularly since the White House has made it abundantly clear it will not put boots on the ground. And that is because for every country or force in that Coalition, seriously fighting DA’ISH, at least right now is not the primary concern. NATO is there in this Aerial Coalition because the US leads it and would be even more adverse to sending in ground forces. This is the same Europe which cannot even pitch-in in Libya where DA’ISH is only 200 miles away. And since the death of King Abdallah bin Abdul-Aziz Al Saud in January 2015 and the succession of his half-brother King Salman bin Abdul-Aziz Al-Saud for whom DA’ISH is no longer the great scourge, the threatening heresy that must be confronted, but a secondary threat compared to Iran which indeed is a very strong rival for regional hegemony, particularly in the Gulf, but also in the Levant. As for the Muslim Brotherhood which the late King also treated as an enemy and went out of his way to demonstrate support for Egypt’s President Al-Sisi, who is combatting both DA’ISH and the Muslim Brotherhood, King Salman has rehabilitated the MB as an ally in Saudi Arabia’s revision of priorities, funding with Qatar and Turkey moderate Islamist rebel forces in Syria that include Muslim Brotherhood formations — two countries that the late King Abdallah, in his last years had great reservations about. Then, late in March 2015 Saudi Arabia led its own initial Aerial Coalition (the UAE, Qatar and very nominal Egyptian and Jordanian participation) in airstrikes against the Zaidi Shia northern Yemenis armed force that had taken not only the capital Sana’a and defeated a Muslim Brotherhood allied tribal force that had barred its way and gone on to take Taiz and the important quasi second-capital of Aden. The campaign is led by King Salman’s 30 year old son Deputy Crown Prince Muhammad bin Salman al-Saud, who is also head of the Royal Court. No one doubts that Iran has provided the Houthis with cash, but the Houthis are not an annex of the Iranian Revolutionary Guards, nor have any advisers from the IRG Al-Quds unit, which works openly with the Iraqi Shia militias, been spotted with the Houthis, nor is their branch of the Shia the same branch that the Iranians share with Iraqi and Lebanese Shia. In fact one could argue that the Zaidi’s mild version of Shia Islam is as close if not closer to Sunni Islam than to the Iranian-Iraqi Shi’ism. One Zaidi dynasty or another has ruled what we think of as northern Yemen for a thousand years, and the late King Faisal, Saudi Arabia’s very dynamic ruler and third in line in the Al-Saud dynasty, provided a haven and financial support for the Zaidi Imam who was overthrown by a Sunni-dominated military coup supported politically by Egypt’s Gamal Abdul-Nasser and ultimately with a significant part of the Egyptian Army in the early 1960s. It had been a very painful experience for the Egyptian troops up against Zaidi tribal guerilla warriors or for the Houthis Zaidi Revivalist movement. But these are different times now. Saudi and UAE ground troops have committed to the battle for Yemen. The air campaign continues, the ground forces helped local southern Yemeni resistance groups force the Houthis out of Aden and then moved towards Sana’a, but aside from shelling and bombing Sana’a the intervention appears by the end of September 2015 to have stalled with high Yemeni civilian casualties from the bombing. Both the stalled ground campaign and the high civilian casualties are drawing increasing critical concern both within the Kingdom and beyond. The Syrian Kurds are the only anti-DA’ISH force in Syria that has, with American air support defeated DA’ISH as is the case in Iraq. But the Kurds can and will only fight to hold territory dominated by a Kurdish civilian population or, as in Iraq, expand it into areas which once were Kurdish until Saddam Hussein ethnically cleansed important parts of Iraqi Kurdistan. The Syrian Kurdish fighting force would like to do the same, to take over a critical stretch of Syrian Kurdish villages and towns that if recovered from DA’ISH would link up all of what could become Syrian Kurdistan. And that explains why Turkish Prime Minister Erdogan has nominally entered the air war against DA’ISH, for his objective would be in the name of fighting DA’ISH to move Turkish ground troops into that missing link and clear out whoever tries to get in their way — and that means the Syrian Kurdish fighting force. Since the summer of 2015 it has become apparent that the Syrian Army is wobbling. Bashar al-Assad said as much in an extraordinary speech that was not behind closed doors in which he acknowledged that his Army was “tired” which is a curious but delicate way of putting it. That has become increasing clear since last summer, and even more so now that the Russians have a military presence not just in Syria but in the Alawite heartland around Latakia, where they are expanding the Latakia Airport. The best assault forces Al-Assad has–the Hezbollah and elements of the Iranian Revolutionary Guard, seem to be particularly reluctant in taking losses fighting for Syrian territory that is not vital to defending the Alawite coastal region and land linking both Latakia and Damascus to portions of the Syrian-Lebanese border which enables Iran to link the Damascus Airport to Hezbollah-controlled portions. This is Plan B in the event that the Syrian Army is unable to hold Damascus. The Syrian Army and Al-Assad and his government team can fall back to Latakia and the Alawite villages that surround it. Russia along with Iran is obviously committed to Plan B. But if it comes to Plan B, who will inherit Damascus? Judging by the effective fighting forces it will either be the Jabhat al-Nusra or DA’ISH, and if it’s the Jabhat, it is quite likely judging by what has been happening on the Syrian battlefields that DA’ISH will take it from the Jabhat. Unless Jordan is ready to move first. June 10th is Army Day in Jordan, a traditional and broadly celebrated day for a Jordan Arab Army that has an exceptional history in the modern Middle East. Not just because it was the only Arab Army in the 1948 War that actually defeated the Israeli Army in a number of encounters — holding the line in Latrun (and taking a young Israeli officer named Menahum Begin prisoner)and defeating the Israeli Army in the battle for the Old City of Jerusalem. In the 1967 War — a disaster for Jordan as well as for Egypt and Syria, one Jordanian Battalion, dug in just beyond the Old City’s Damascus Gate and close right up to the armistice line that marked off the” New City” — what we used to call Israeli Jerusalem. Since the sector was too close to the New City and there were no precision bombs or artillery shells for that matter back in 1967, the Israelis had to assault the sector fighting with rifle fire and bayonet man-to-man. Half of all Israelis dead and wounded on all battle fronts of the 1967 War were lost fighting man-to-man with that one Jordanian battalion. But there is more. One could say the Jordan Arab Army — Al-Jaish Al-Arab — existed before Jordan did. The first Ruler of Jordan, King Abdallah I (then Amir Abdallah) led his Hashemite Army fighting force, which was part of the armed force of the Great Arab Revolt, against the Ottomans in World War One, up from the Hejaz to Amman. He threatened to march on Damascus, where French colonial forces occupying Lebanon had recently occupied Syria ending the brief reign there by his brother King Faisal of what was supposed to have been the core of the one Arab state that the Great Arab Revolt was all about. Then that would have been most unrealistic. The British now nominally in control of what is now Jordan in a combination of Sykes-Picot and League of Nations Mandate persuaded him to stay put and become Amir, and eventually King of Jordan. This bit of history tells us three things. The first, why Army Day on June 10, has always been such an important and widely celebrated holiday in which the Jordanian national flag is always on conspicuous display. The second is pure speculation: that there must be a bit of a Syrian element in the Jordanian Hashemite political DNA ever since World War One and it is reflected in the good relations Jordan has always enjoyed with the Sunni tribes of Syria. And thirdly, starting with the first King Abdallah, and then his grandson King Hussein, and now Hussein’s son, King Abdallah II, every Jordanian Ruler has also been deeply involved — in his own training and in active leadership of the Jordan Arab Army. King Abdallah II was head of Special Forces before and possibly during his brief tenure as Crown Prince. That is the real Islamic political tradition: when the ruler — call him and his dynasty by whatever name — Sultan, King, Amir — also serves as a real (not an honorary) Commander-in-Chief not a so-called Caliphate, a lumpen Caliph who rests on a curious authority that blends Salafi-Jihadi ideology with the organizational skills of former Iraqi Baathist officers. This past year, on June 9, 2015, one day before Army Day there was another ceremony — a new ceremony — involving the King of Jordan and the Arab Army. This time the King presented to the Army another flag — with the Basmallah — the profession of faith , “In the Name of God, the Most Compassionate, the Most Merciful” and a seven-pointed star that stands for the seven verses of the opening of the Qur’an, the Surah Fatihah, all on a solid crimson background. This new flag is described as a 500 year old symbol of the Hashemites and the original flag of the Great Arab Revolt. It is the Hashemite flag and the Hashemites are in a direct line back to the Prophet and the flag reminds us of that as well as the Hashemite revival 100 years ago of an Arab Islam and an Islamic Arabism. It is opposed in spirit to the pathology that animates DA’ISH — that of the oldest heresy in Islam the Khawarij who sent the assassin who murdered Imam Ali and who were the first Muslims to practice Takfir — a perverse justification for their putting the sword to any man, woman or child who did not acknowledge their authority. Just as the Salafi-Jihadis of DA’ISH do today. The crimson banner of the Hashemites is above all else a battle flag.